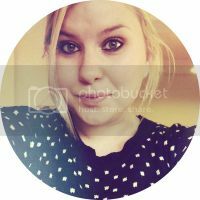 So, firstly, I'm going to apologise for my lack of posting recently, I got lost in the summer a bit, work has been crazy and I put myself on a spending ban because I just bought a car so didn't have too much to write about and when I did go to do reviews, it made me want to buy stuff! But aaaanyway, I'm back and will aim to keep up more regular posting!! 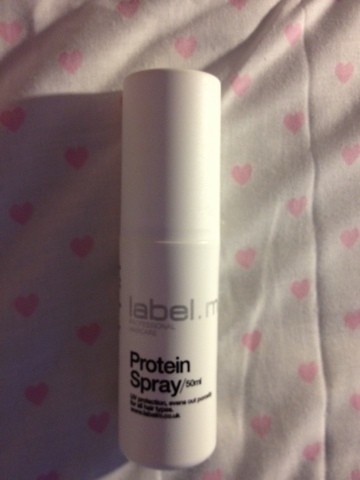 I've been using this Label M Protein Spray quite a lot over the past month, This was my first foray into Label M products, my sister had been wanting to try this for a while so I picked it up when she got hers as she'd been hearing good things about it. When I first used this, I think I went a little overboard and soaked my hair in it and ended up with a kind of lank, greasy feel to my hair when it dried causing me to toss it aside and move onto something else. However, I recently had a blow dry at Toni & Guy and they used this on my hair, very sparingly, maybe 5 sprays on the whole head as opposed to me using about a quarter of the bottle in one go and it made my hair feel amazing! My hair at the time was in desperate need of a cut (have now had it cut thankfully) so I couldn't expect miracles but this does help with adding some much needed moisture and health to my hair, so I have recently dug it out again and been using it in my hair care routine, definitely stick with the less is more with this though as I got a bit spray happy again one day and got the same lank greasy feel to my hair, I have mid length hair which is just past my shoulders and around 5 sprays is more than enough for my hair.I use it post applying oil (I'm starting to see why my hair might have felt a little greasy!!) and just before drying my hair. Have you used any other Label M products, any recommendations?